Whether you're letting someone know how much you care, telling them to get well soon, or welcoming a good friend to their new home, you can't go wrong with this joyful bouquet. 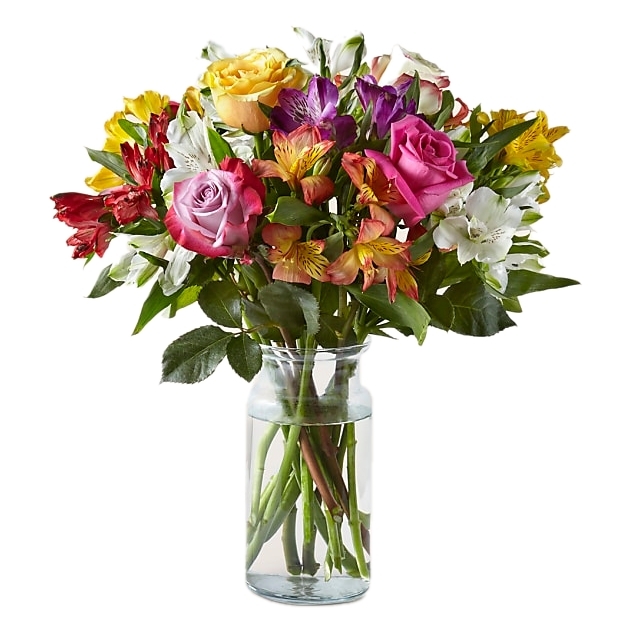 Exotic Lilies are sprinkled with multi-colored Roses and surrounded by lush greenery. Light up their day and lift their spirits with Sunshine's Sweet Kisses.